Do Geese Get Goose Bumps? A Q&A book full of things you didn't know you need to know. *Can an elephant cry crocodile tears? *Why is abbreviation such a long word? *What's in a hot dog? *Why does Hawaii have interstate highways? *What did they call a photographic memory before the invention of photography? *Why does Superman wear his underwear on the outside? *Why do dogs come when you call them, but cats ignore you? *What's a male ballerina called? The Bathroom Readers' Institute is a tight-knit group of loyal and skilled writers, researchers, and editors who have been working as a team for years. The BRI understands the habits of a very special market—Throne Sitters—and devotes itself to providing amazing facts and conversation pieces. 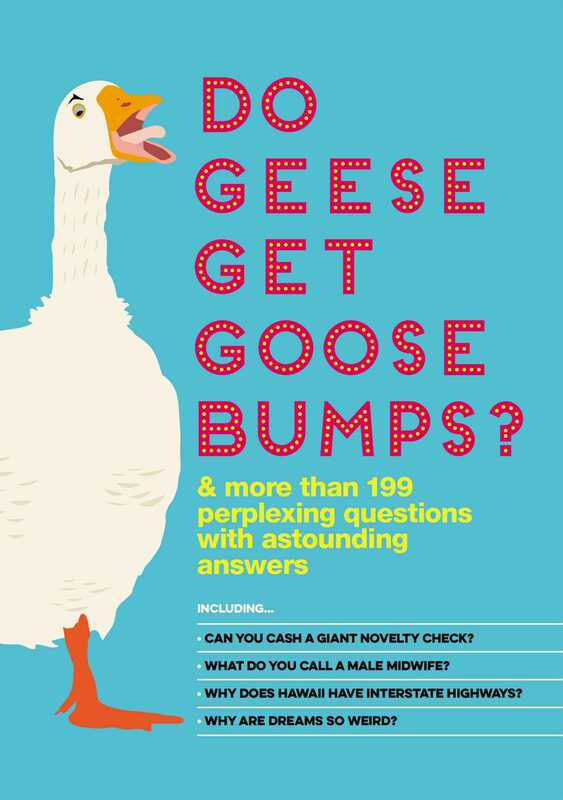 Book Cover Image (jpg): Do Geese Get Goose Bumps?